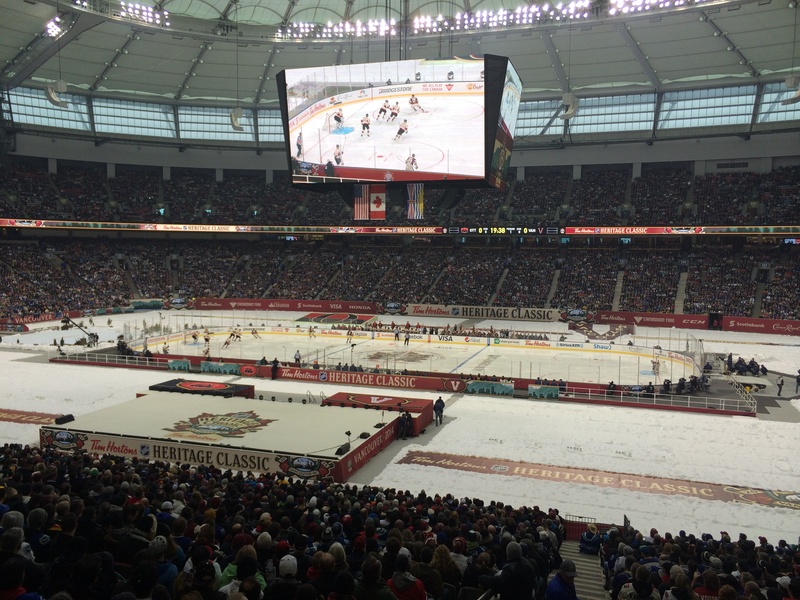 Hockey: Yeah, it’s kind of a big deal in Canada. Ryan doesn’t often express wishes. I’m not sure why. Maybe he’s just more focused on what is right in front of him. Maybe wishes are too abstract a concept for someone so wired to think in black and white. Whatever the reason, when he expresses a wish, it can be profound. Before Ryan’s life-altering visit with the San Jose Sharks last week, he was talking to Veronica about it how excited he was. She probably asked him if he had told anyone at school about it. Ryan was hesitant to talk about hockey in school before, but this was something different. He expressed his wish. So much said in so few words. So much awareness and sense of self. And, as always, self-awareness is a double-edged sword. Ryan’s greatest successes with “typical” kids have been to find those with whom he shares a common interest. 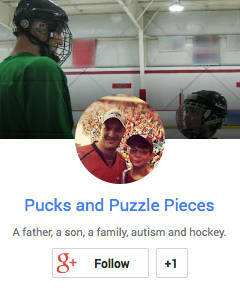 Because of Ryan’s overwhelming interest in all things hockey, it is a natural starting place. Because sports are inherently social, the common bond can serve as a bridge across certain social gaps. It’s a conversation starter, and a conversation sustain-er. It provides an activity when friends come over to hang out. And yet, Ryan is starting to realize his interest in hockey is extreme, and therefore different. He doesn’t want to be different. He doesn’t want to be known for being different. Which brings us to Canada. Since Ryan’s interest in hockey developed, Canada has existed as a magical place in his mind — a place where everyone loves hockey as much as he does. More than that, it represents a place where his questions about hockey wouldn’t be met with blank stares. Where he could ask someone he’s just met, as he often does, “Do you like hockey?” and “What’s your favorite team?” and it would lead to a conversation and a connection more often than it does in New Jersey. Having just returned from a trip to Vancouver myself, I have to say he’s not far off. Hockey conversations — in-depth, analytical hockey conversations — are not hard to find among total strangers. Hockey is part of the fabric of the country in a way that no single sport is here in the U.S.
Ryan has been to Canada, briefly, twice — a pair of trips to the Great Wolf Lodge in Niagara Falls. He was amazed by how many people there wore hockey shirts and hats all the time. He loved it. His people! Ryan is always most at ease when he’s among hockey people, whether it’s with his street hockey teammates, at an NHL game, at another hockey event, or hanging out with the San Jose Sharks. These are the people who accept him, who don’t judge him or view his extreme interest in the sport as odd. One of the differences between Ryan now and Ryan of a few years ago is that he’s far more perceptive of other people. Once, he was surprised to learn that everyone doesn’t think like him. Now, he is very aware that everyone doesn’t. His wish about Canada? I read it as a wish to find his place, his comfort, his acceptance. A wish to be among his people. And, really, who doesn’t wish for that? We used to live in California, my son played with the Jr. Sharks, and they were the hockey boys at the school. This past summer we moved to Wisconsin due to a job change. My kids now have teammates and other hockey players in their grade. On the first day of school the kids they has met at hockey camp greeted them and showed them the ropes. All that to say I understand Ryan’s wish. We live in central Canada. Hockey is a big part of our life and those of the community. There are 10 boys in my sons class and 8 play hockey. Although he may not be able to move here, your family can always visit for games or visit the Hockey Hall of Fame. For a Canadian experience from your home, Ryan would probably enjoy watching CBC on-line or YouTube “Coaches Corner with Don Cherry” for some clean but colourful (clean trash talk) hockey “discussion”, which we here in canada are subjected to after the first period of NHL games on Saturday night. Love reading your blog.